Wet your skin and hair to soften it. A great time to shave is right after a shower, as your skin will be warm and moist and free of excess oil and dead skin cells that can clog up your razor blade. Apply a foaming shaving cream. If you have very dry or sensitive skin, look for a shaving cream that says “sensitive skin” on the label. Using a circular motion, apply a small amount of the cream to your face using your fingers or a shave brush. A shaving brush can help by lifting the hairs and more evenly coating them with the shaving cream. Let the cream sit for two to three minutes. Particularly if you have thicker facial hair, this helps the shaving cream penetrate the hairs and soften them. While you wait, you can brush your teeth or comb your hair. Shave in the direction that your hair grows. This is an important step to help prevent razor bumps and burns. Rinse after each swipe of the razor. In addition, make sure you change your blade or throw away disposable razors after five to seven shaves to minimize irritation. After shaving, rinse your face with cold water to reduce inflammation. Then apply a moisturizer with an SPF of 30 or higher. The moisturizer will help close your pores and trap water in your skin, while the sunscreen will help protect your skin from the sun’s harmful ultraviolet rays. Store your razor in a dry area. In between shaves, make sure your razor dries completely to prevent bacteria from growing on it. Do not leave your razor in the shower or on a wet sink. These tips are demonstrated in “Tips for Men: How to Shave,” a video posted to the AAD website and YouTube channel. 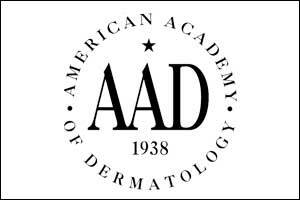 This video is part of the AAD’s “Video of the Month” series, which offers tips people can use to properly care for their skin, hair, and nails. A new video in the series posts to the AAD website and YouTube channel each month.